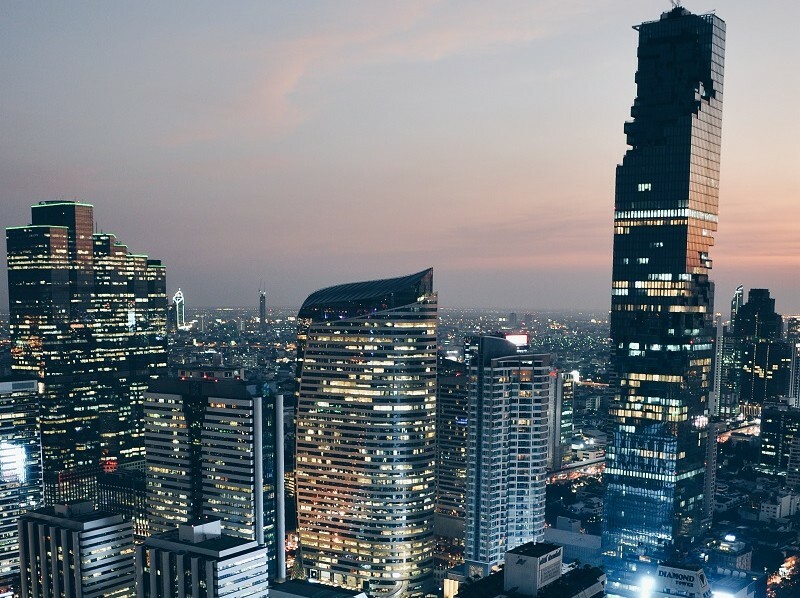 Buying property in Bangkok: Payment procedures. For international buyers. 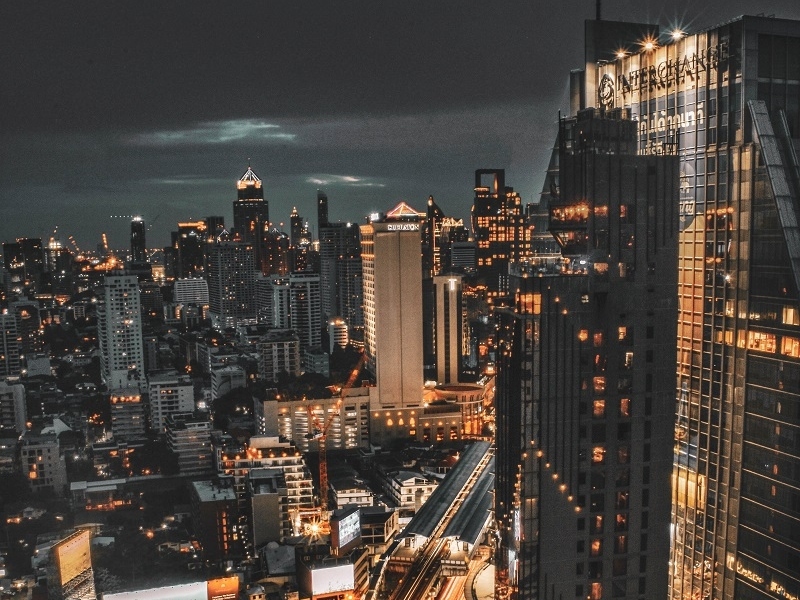 If you are not a Thai national and bought a property in Bangkok, or anywhere in Thailand, you will most probably need to understand the payment procedures when it comes to making the necessary payments towards your Bangkok property. Usually, the Thai developer will collect a small deposit from the buyer. This is usually in the range of THB200,000. This is usually called a booking or reservation fee. They will then give you a booking or reservation form with payment instructions for you to transfer the necessary deposit to their designated bank account. 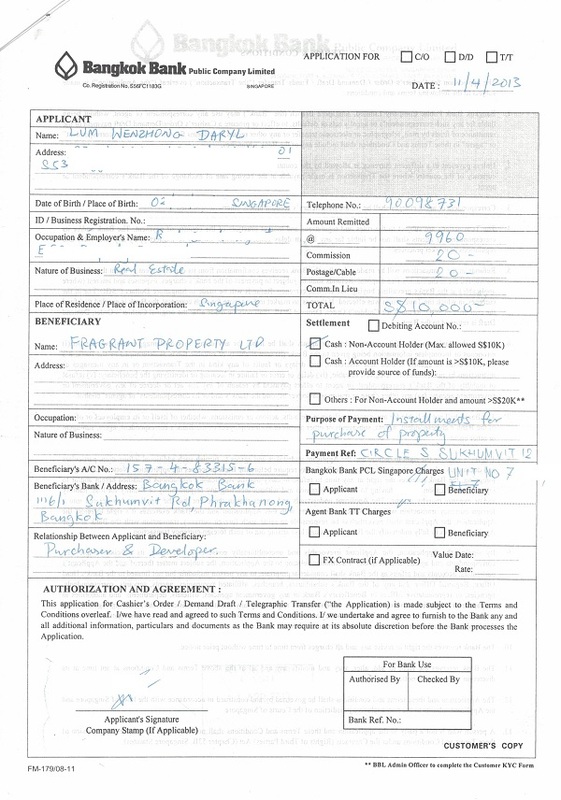 It is important to note that non-resident foreigners who buy a condominium in Thailand must transfer monies from a foreign bank via telegraphic transfer to the developer’s designated bank account. 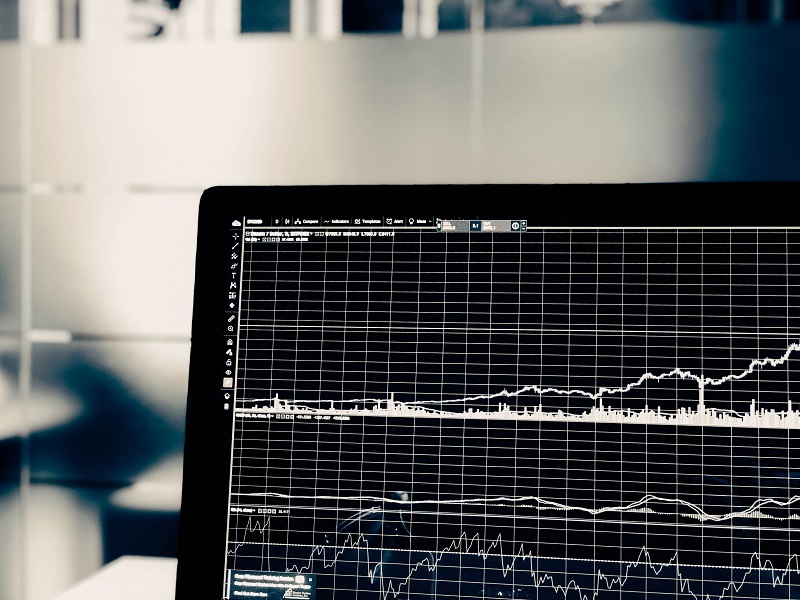 The receiving bank in Thailand will then issue a Foreign Exchange Transaction Form (FET) for amounts greater than USD$50,000 and a Credit Note for amounts lesser than that. 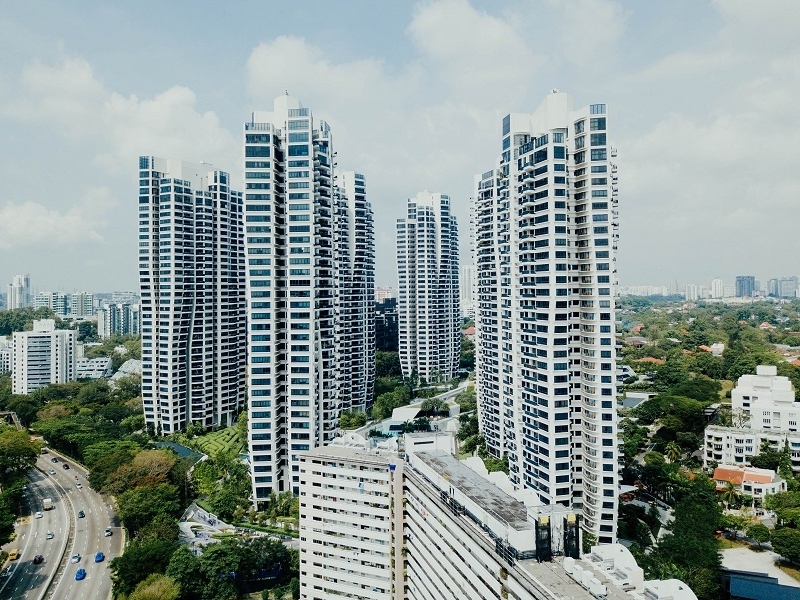 You, as a foreign buyer, will require this FET when your condominium is ready to be transferred to you. Without this FET, the District Land Office in Thailand will not transfer the property title to a foreigner. 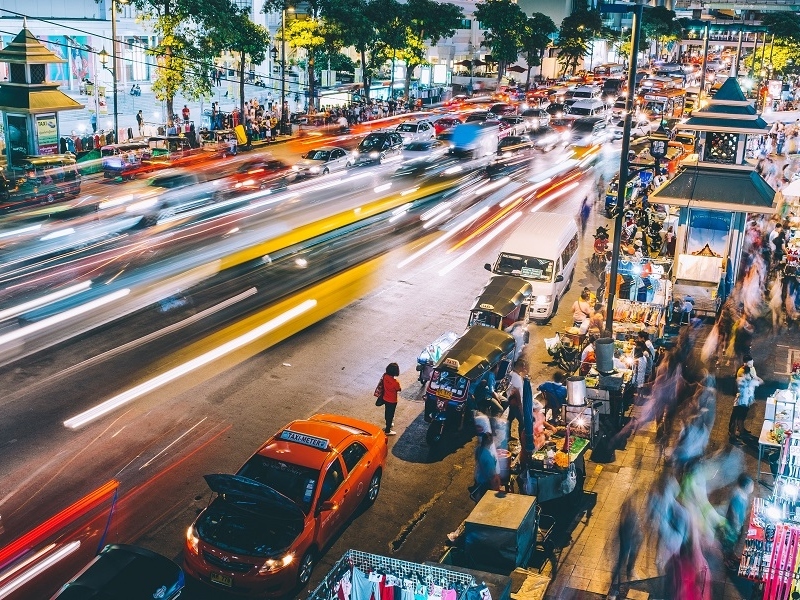 In essence, the Thai government wants to see foreign funds flowing into Thailand. For this particular reason, remittance services should not be used to transfer monies for the purpose of paying for a Thai property. You should also not bring cash into Thailand to pay for your property purchase. On the payment instruction, you should see the following details of the designated developer account for the project. 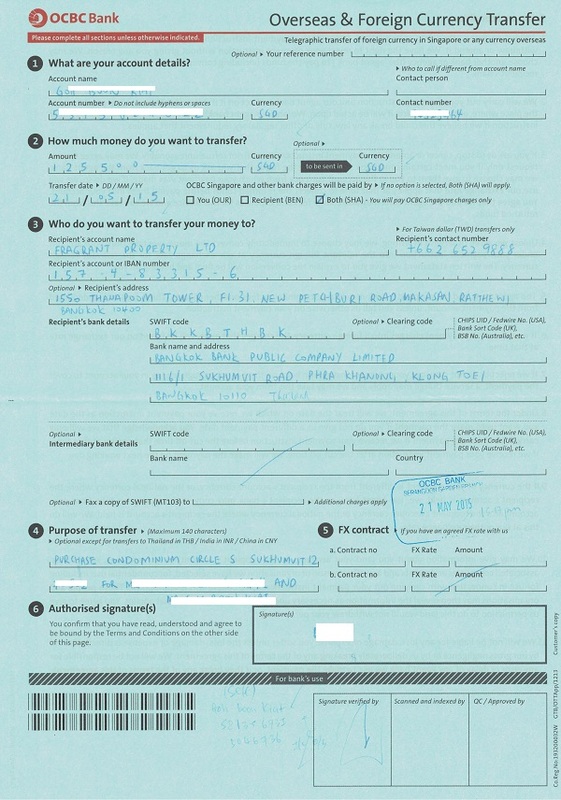 Do take note that this is the form from Bangkok Bank in Singapore. Thus it is still a bank located in Singapore. You are free to do a telegraphic transfer from any bank located outside of Thailand. A completed copy would look like this. I blocked out some personal details but you can see that the telegraphic transfer had my personal details and also had the purpose of the transfer clearly stated. You will need to fill in the purpose of the transfer and it should clearly state something like “To purchase a condominium Unit No. xxxx at The Condo Name”. Some developers will break up the amounts and request for the payments in installments. 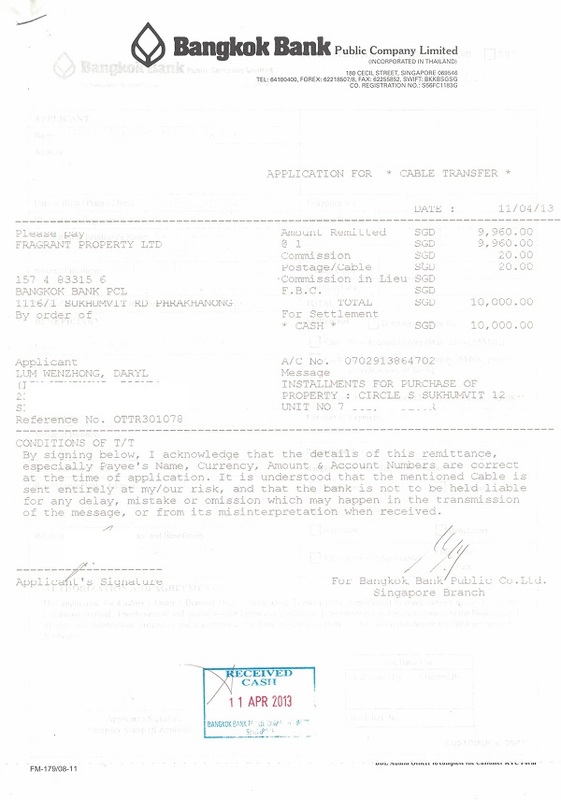 In this case, your purpose of transfer should state something like “Installment for purchase of property Unit No. xxxx at The Condo Name”. If there is more than one name on the property, both the purchasers’ names must be reflected in the telegraphic transfer form. You do not need to have a joint bank account with the bank to do a telegraphic transfer. 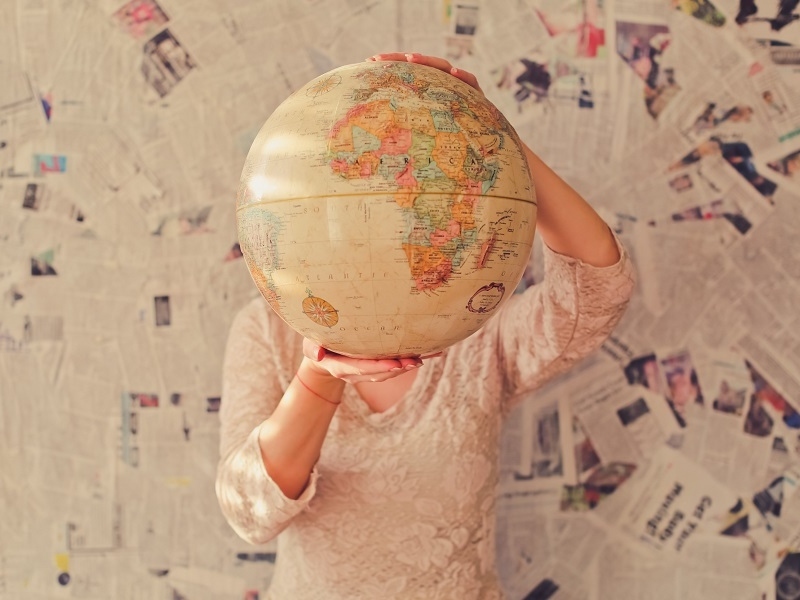 If the transfer is done by one party for on behalf of the other, that party can include the names of the purchasers in the purpose of transfer portion. I would advise that buyers transfer in Singapore dollars. However, this poses an issue as the amount to be remitted is in Thai Baht. Thus you have to estimate the exchange rate and perhaps transfer a little bit more just to be safe. The developer will inform how much worth of Thai Baht was received. It will take around two to three days for the monies to reach the Thai bank account. However, to reduce the confusion, it is also perfectly fine to ask your bank to transfer in Thai Baht. In all the years that I have been dealing with Thai properties, I have yet to see the Thai authorities having an issue with this. 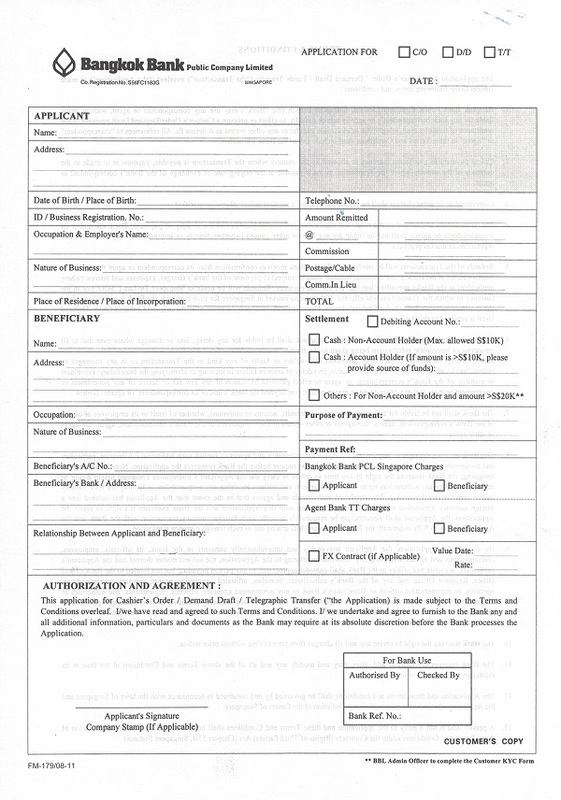 When all is completed, the bank will provide you with a slip like this. You will then need to send this receipt to the developer. There should be an email address for you to send to in the payment instructions. When in doubt, always look for the salesperson who sold the property to you or the developer’s staff. 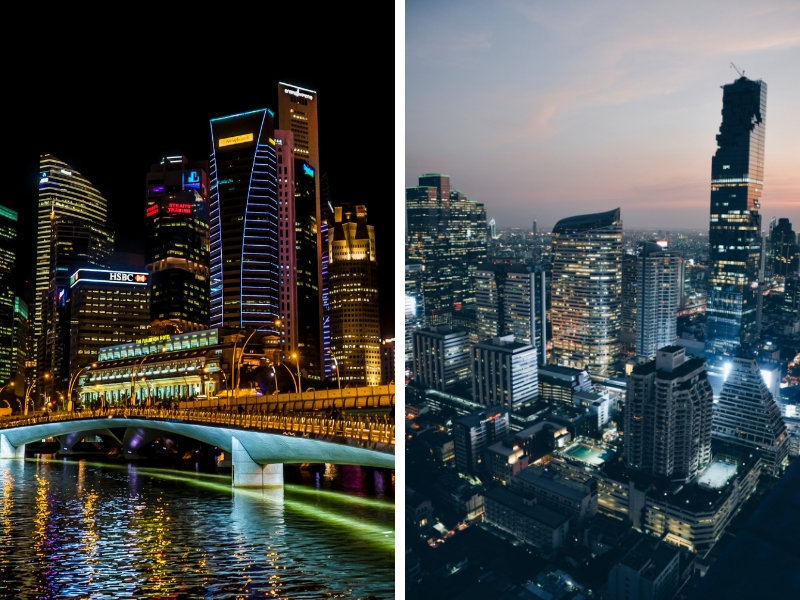 Most established Thai developers have an excellent support team to handle international purchasers.